Get help funding your volunteer department's equipment and other needs with free help from FireGrantsHelp.com, the most comprehensive resource for Fire Grants listings, information and resources. Welcome to VolunteerFD.org, the premier resource for volunteer professionals nationwide. Developed to provide a place for volunteer firefighters to come and share information, VolunteerFD.org was built to address the unique issues that all volunteer departments share. Members of VolunteerFD benefit from an active community of first responders who, like themselves, balance their professional life with the life of a firefighter. 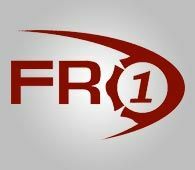 VolunteerFD.org is part of the FireRescue1.com Network, giving you access to the widest range of firefighting information available online.